The fight for human rights isn't over - and one A&S alum is at the forefront of advocacy for individuals in the criminal justice system. Stephen Bright graduated from the University of Kentucky with degrees in law and political science, and is the President and Senior Counsel for the Southern Center for Human Rights. 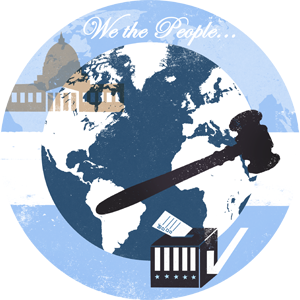 The SCHR provides legal representation for people facing the death penalty, challenge human rights violations in prisons, and advocate for reforms in the criminal justice system, among other work. In this podcast, Bright discusses his academic and personal ties to his life’s work, and gives some advice for current students.